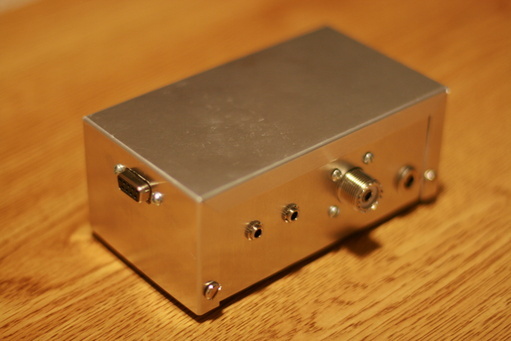 This build is in a standalone Radio Shack project box with nothing but a power jack, antenna and audio connectors, and DB-9 for I2C communication with the Si570 programmable oscillator. 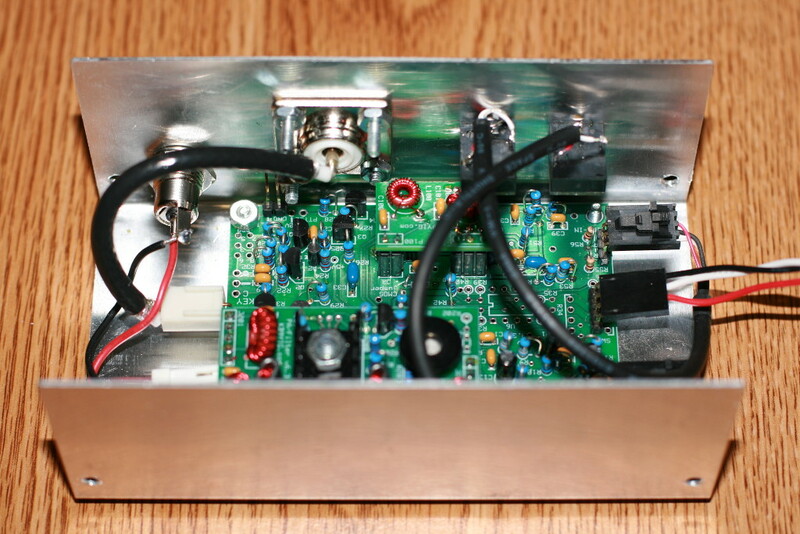 I have plans to build a power amp and band switching board for this radio, but that will have to be in a larger box. 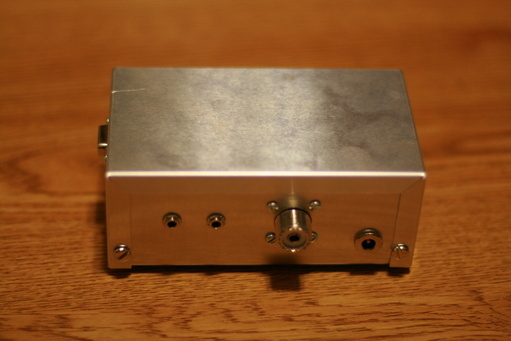 ;-) I have only a 40/80m transmitter board at the moment, although I have receive band pass filters for 80-10m inclusive, making this a nearly continuous-coverage receiver with a little bit of plugging about with filter boards. 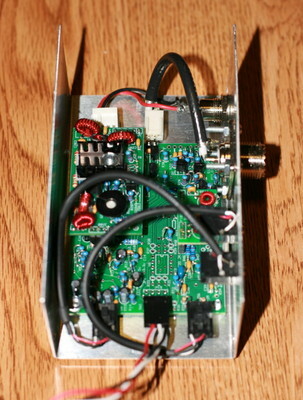 For more general information on software-defined radios and some help getting SDR going in Linux, see my SDR pages.